Things That Will Drive You Bonkers | Suki deshou? I was reading a very interesting and somewhat comical blog post about things that the author dislikes about Japan. Now, while I might not have the same amount of experience as this author when it comes to living in Japan (heck, I don’t have any experience compared to him! ), I can still relate to some things he discussed and would like to give you my own ideas and impressions about them. What are sentence-words you ask? To be honest I don’t think this is even a real linguistics term but, it suits my purposes here. What I would define as being a sentence-word is a single word (usually a greeting) that combines several other words or meanings together. For example, take the words”ittekimasu” & “itterashai”. ☆行ってらしゃい -> Similarly, itterashai basically means “Go and be safe”. Again, it has more feeling compared to the rather dry English reply “See you later”. Why should this drive you insane you ask? Because, as the author mentions in his own post, sentence-words appear every day in office settings or in shopping malls and restaurants. You might recall the infamous “irasshaimase!” cry coming from every shop assistant across Japan. The first few times you hear it, it’s cute. It feels like ‘Japan’ and it’s something you’ve always dreamed of hearing in real life (when you’re a serious anime/manga fan). However, after the first few billion times of hearing it in every single store and restaurant, you get irritated by it, even annoyed to the point of having to leave the store not to hear it anymore. Another word the author references is “otsukaresama desu“, literally “you’re tired”, but really means “you’ve worked hard”/”thank you for your hard work”. My Japanese teacher uses this expression all the time after class, which in itself doesn’t bother me. It’s bothersome in a Japanese setting, such as when I was studying in Japan. The teachers, the staff and the cleaning lady used to say it all day long. Every time I would bump into the cleaning lady, she would tell me “otsukaresama desu” and bow several times. This irritates me to no extent. It’s not the act of bowing itself, but rather the fact that it makes me feel very uncomfortable when people bow to me. Now, where I come from, we don’t bow to anyone. This is strictly a Japanese concept that is used to show respect to other people by bowing to them. I don’t agree with it, I find it demeaning, and I always want to stop them from doing it. For example, last year when I was studying abroad in Japan, I went to thank my teacher for a wonderful year and all the things I learned with him. He then proceeded to bow so low, I genuinely felt awkward and ashamed to have my teacher lower his head to me, as if I was more important. Now I know what you’re going to say: it’s customary, it doesn’t mean that one person is subjugated to the other, etc. but I still can’t accept it. I felt really bad for my teacher because, as usual, I don’t bow to people on automatic pilot like Japanese people do. I really have to stop and remember to do it, or else I forget that that is their custom. Having said that, while my teacher sunk is head really low and I remained upright, my other teacher looked on disapprovingly; my behaviour was not correct for the situation. Well now, I’m sorry I feel ashamed when people bow to me, and that I want nothing more than to raise their heads back up to a normal level rather than subjugate them to “50 shades of shame”. Now this is truly sad. Coming from a western civilization, I find comedic relief to be essential to our lives. I’m a funny kinda gal and I love to laugh however, I find this pleasure to be restricted in Japan. Indeed, humour in Japan is quite different from what we know in the West. 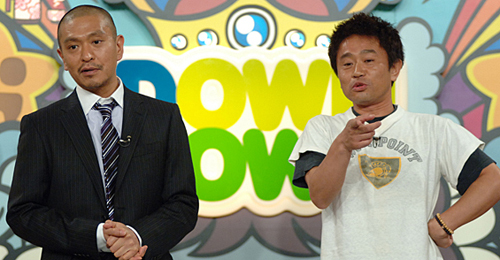 When you think about Japanese comedy acts, you imagine manzai, or comedy duos, usually consisting of one goofy clown-like character and one straight faced partner (like Abbott & Costello, for e.g.). This type of comedy is mostly physical stunts like throwing pies and hitting each other. While I do appreciate a form of physical comedy, I have a soft spot for stand up comics and improv which, up until now, I haven’t come across in Japan. Even though manzai is technically considered as stand up comedy, it doesn’t have the same feel nor pattern as ours. Now, I’m not saying that these guys aren’t funny -because they are- but it’s not the same kind of ‘funny’ as improv master Robin Williams (my personal GOD) or talk show host Ellen DeGeneres or even comedy genius John Cleese. Now obviously, I shouldn’t expect to find the same kind of humour in Japan as I would here in the West but still, my heart yearns for good comedy and sarcasm. On this subject, Japanese people are 100% immune to sarcasm. Why you ask? I have no idea. Maybe it’s because of the structure of their language that doesn’t allow for sarcasm to take place, or maybe it’s just that they are not as sensitive to it as Westerners are. Unless you make it blatantly obvious that you are using sarcasm, don’t expect the people to understand this type of humour all on their own. For such a passive-aggressive society as Japan -and this I understand all too well, Canadians are masters of passive-aggressiveness-, it’s a wonder they haven’t discovered the wonderful world of sarcasm and its power! On that note, I’ll stop for today, simply because I’m about to run out of paper (see that? sarcasm). Don’t forget to visit this blog post for more cynical comments, much more profound than mine. Tags: Culture, Japan, Japanese, Language, Life, Office, Work. Bookmark the permalink. How fascinating. As a person without a culture, I have to say that I find Western AND Japanese comedy pretty perplexing and sarcasm kind of worrying. I mean – why do people say things they don’t mean? I am wondering how I will find Japan as someone who has lived in all kinds of places and never managed to adapt to any culture so far. Not that I manage things particularly badly. I just find the generally cynical outlook of Western cultures depressing and alienating, and the pop culture pretty much impenetrable. As for bowing, it does seem to me the natural thing to do. But I suppose I am fairly odd by many standards. Thank you for your thoughts. I still can’t work out whether I will find Japan a huge relief or just another strange place in a strange, strange world. I guess there’s only one way to find out! I don’t want to pry but, how can you be a “person without culture”? No matter where you come from in the world, I’m certain you have your own cultural quirks different from other countries. Comedy can be pretty tricky, there are several types of comedy acts (e.g. blue, black, improv, stand up, etc.) and sometimes it can be difficult to find the perfect type that suits you most. 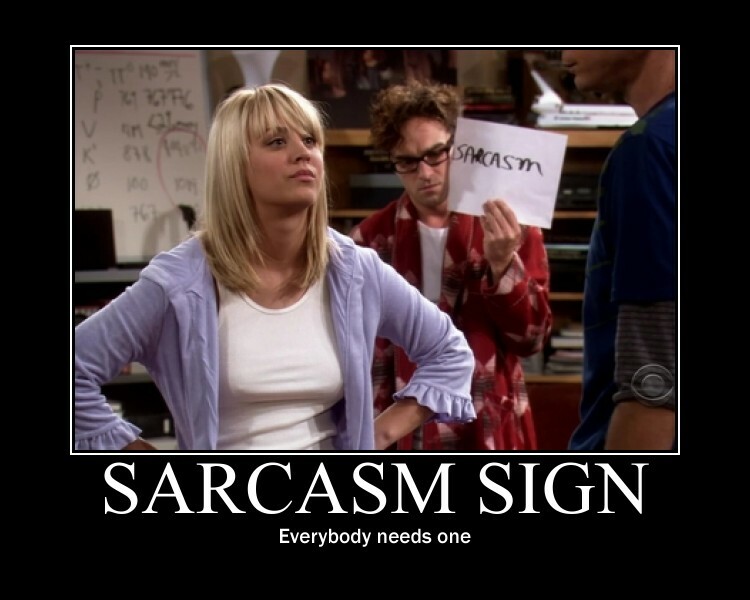 Sarcasm is just another form of comedy (albeit cynical). Japan is a wonderful place to visit/live in. I studied there last year, and I am returning this year as an English teacher. If I hadn’t enjoyed my first experience with this country, I certainly wouldn’t be signing myself up for a new adventure! I am a strong advocate of all things “Japanese”, as well as a profound fan of traditional culture. Of course, everything has to be taken with a grain of salt. No matter where you go in the world, you will encounter some marvellous things and some not-so awesome ones too. In this blog post I thought I should share with other Westerners some things that tend to get under my skin. Honestly though, if I were to make a list of things like that about my own country, the blog post would be at least twice as long! As for your final point, all I can say from my personal experience is: Japan is as wacky as you think it to be, but it still retains the beautiful, rich culture that all Westerners come to respect and admire. I wish you all the best in your ventures, and I hope you will find whatever you are looking for in Japan. Thank you so much for your kind words. Well I suppose I have lived in many parts of the world and never really acclimatized to any. A lot of the time I have been (and am currently) in places where I don’t speak the language (but I am making very serious efforts to learn Japanese) I don’t feel at home anywhere or much understand any culture I have encountered so far. I speak English as a first language but have had very little first-hand contact with English-speaking cultures. That may be the problem with comedy for me which is very culturally based, I guess. You have to have certain assumptions or norms in order to find something funny, I rather suspect. I didn’t particularly think Japan to be any wackier than anywhere else – I find most places kind of strange – but often lovely. Thank you so much for your kindness. I don’t know yet if I will get to Japan. It was all settled and then rather of fell through. But I feel it is in my fate – and I feel attracted to the language as I have been to no other. So, well, I suppose we’ll see. I simply want to say I am just very new to blogging and honestly enjoyed this web-site. Most likely I’m want to bookmark your blog . You absolutely have good writings. Thank you for sharing your web site. Your article is more than just information to me. To me, you have captured the reader’s interest with engaging and unique content material. I like your original presentation of views and agree on many of them. Thank you for your kind comment, I’m glad you found my article interesting.